The prospect of establishing a future global climate agreement that is ambitious, equitable and legally binding has seemed uncertain since the failure of Copenhagen in 2009. 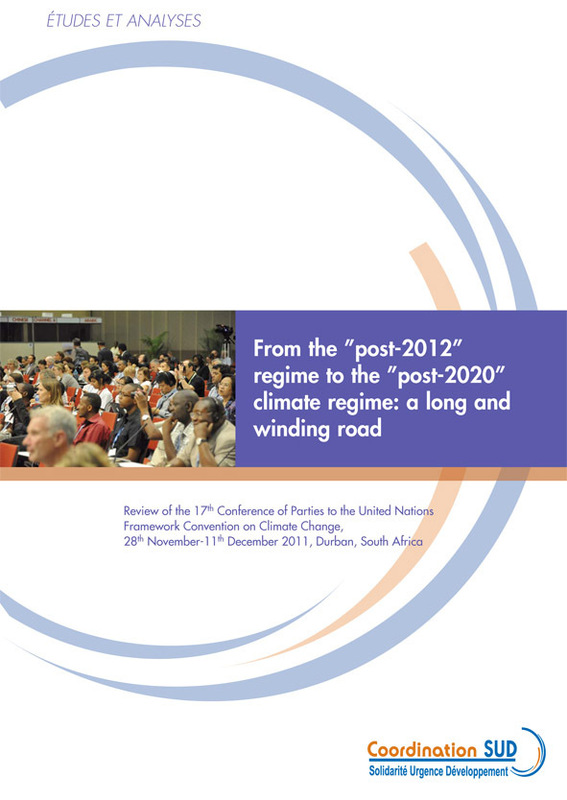 The 17th Conference of Parties (COP17) on Climate Change, held in Durban from 28th November to 11th December 2011, resulted in a "package" of decisions very light compared to the expectations. This document analyses the outcomes of the Durban Conference in terms of development and international solidarity issues. Its primary focus is national ambitions for tackling climate change. It then analyzes the results of various aspects of the negotiation on financing efforts to tackle climate change, adaptation to climate change, agriculture, and finally REDD+ mechanisms. The prospect of establishing a future global climate agreement that is ambitious, equitable and legally binding has seemed uncertain since the failure of Copenhagen in 2009. Belief that the international Conference would save the climate and change the world is a thing of the past. And political opposition to change has been aggravated by various fac- tors – the economic and financial crisis, the election of a Republican majority in the American Congress, and the growing differentiation between emerging nations and other developing countries, to name but a few. Experience has shown that UN negotiations on climate are a long but necessary process. This is the only way of ensuring that all states participate in a debate that is crucial for our shared future, as multilateralism provides the international cooperative framework needed to tackle climate change effectively and equitably. It was in this spirit that several thousand participants attended the 17th Conference of Parties (COP17) to the United Nations Framework Convention on Climate Change (UNFCCC), which was held in Durban from 28th November to 11th December 2011. The first issue at COP17 was to save the Kyoto Protocol, which aims to reduce GHG emissions by developed countries. This was in danger of disappearing when its first implementation period finishes at the end of 2012. The Durban Conference was also expected to instigate a new cycle of negotiations, with a clear timetable to expedite the earliest possible conclusion of the much-vaunted global agreement uniting all emitting countries in the battle against climate change. In other words, it was supposed to lead to the signing of a ”Bali Action Plan B.”1 The third expectation for Durban was progress on implementation of the Cancun Agreements adopted at COP16 in December 2010, which had led to the creation of a Green Climate Fund, an international framework on adaptation, and implementation of REDD+, the mechanism to reduce emissions from deforestation, forest degradation and enhance forest carbon stocks. After 16 days of intense and unusually protracted negotiations, delegates returned home with a ”package” of decisions that fell somewhat short of these expectations. This package included four major decisions. The first was to establish a small special working group, the Durban Platform for enhanced action, which is charged with negotiating an agreement that includes all countries. This agreement should be concluded by 2015, and come into force by 2020 at the latest. This process should replace the Ad Hoc Working Group on Long-term Cooperative Action under the Convention (AWG-LCA), which was established following the Bali Action Plan, as soon as possible. In parallel with this process, the Kyoto Protocol is to be renewed following an agreement on the principle of a second commitment period, whose du- ration has yet to be determined. In practical terms, the Durban Package represents progress on several technical and operational aspects of implementation of the Cancun Agreements, especially in developing countries. The third major decision concerns the adoption of the governing instrument for the Green Climate Fund, which should become operational in 2013-2014. Finally, the key decision of the Durban package relates to long-term cooperative action. Notable advances were made on adaptation and agriculture, and technical decisions relating to REDD+. However, several questions left hanging after Cancun remained unresolved in Durban, such as funding sources for the Green Climate Fund, and the mechanisms and approaches for financing REDD+ actions on the ground. The Durban Package has the merit of restarting a cycle of negotiations to revise climate architecture in accordance with national economic realities. 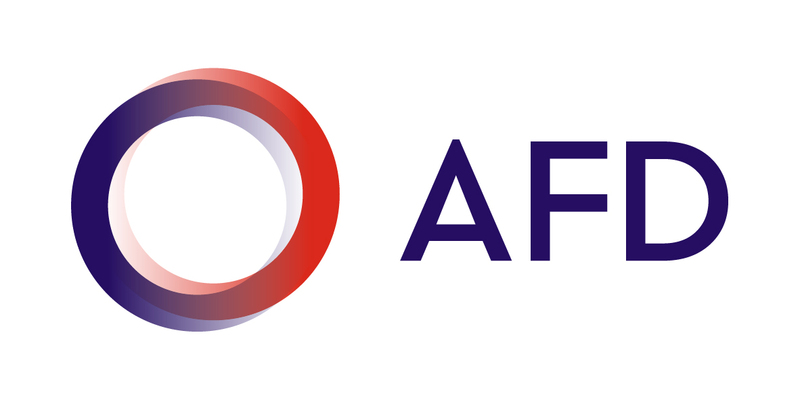 This willingness to negotiate a global agreement could signal the return of a top-down approach. The Conference also marked a major shift in the centre of gravity towards emerging countries and away from the United States, which blocked several issues and was left isolated in the negotiations. For the first time, emerging countries—led by China—showed their desire to be actors in global ef- forts to combat climate change, and accepted the possibility of making international commitments to reduce their GHG emissions from 2020 onwards. However, the Durban package is still far from delivering what scientists believe is necessary to avoid the disastrous consequences of global warming rising above 2°C. This document analyses the outcomes of the Durban Conference in terms of development and international solidarity issues. Its primary focus is national ambitions for tackling climate change. The analysis then turns to the international negotiations on implementing the agreements reached in Cancun, highlighting points that still needed to be resolved in Durban. The second section deals with financing efforts to tackle climate change in developing countries. The third section analyses the outcomes of COP17 with regard to adaptation to climate change. This has long been ignored in climate negotiations, but is becoming increasingly important at the international level and in national- and local-level actions in various countries. The fourth section deals with agriculture, which has become a flagship issue in international negotiations in the last few years, but received no political recognition in any decision taken at COP17. Agriculture accounts for at least 14% of global GHG emissions (without taking ac- count of deforestation), and is a key sector for adaptation to the impacts of climate change among the poorest and most vulnerable. Many saw Durban as the last chance for agriculture to be officially included in the framework of the Climate Convention. The fifth and final section of this document looks at the REDD+ mechanism. Like adaptation, it is one component of international negotiations where decisive progress was made in Cancun. Durban was supposed to specify the technical modalities framing action on the ground, and resolve the key political question of which mechanisms and sources of funding will be used to finance the battle against deforestation and forest degradation in the long term.